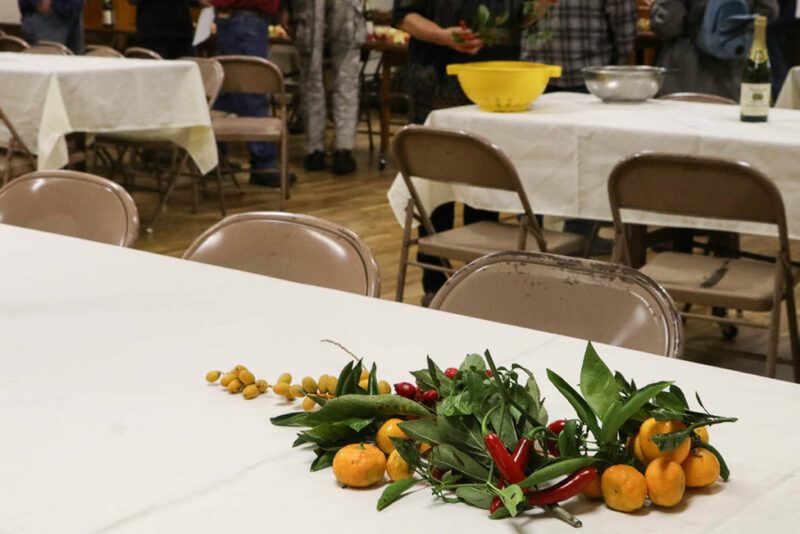 On December 1, we held our annual Holiday Potluck at the Santa Cruz Live Oak Grange, one of our most important community-focused events for the membership of the Monterey Bay Chapter of California Rare Fruit Growers. 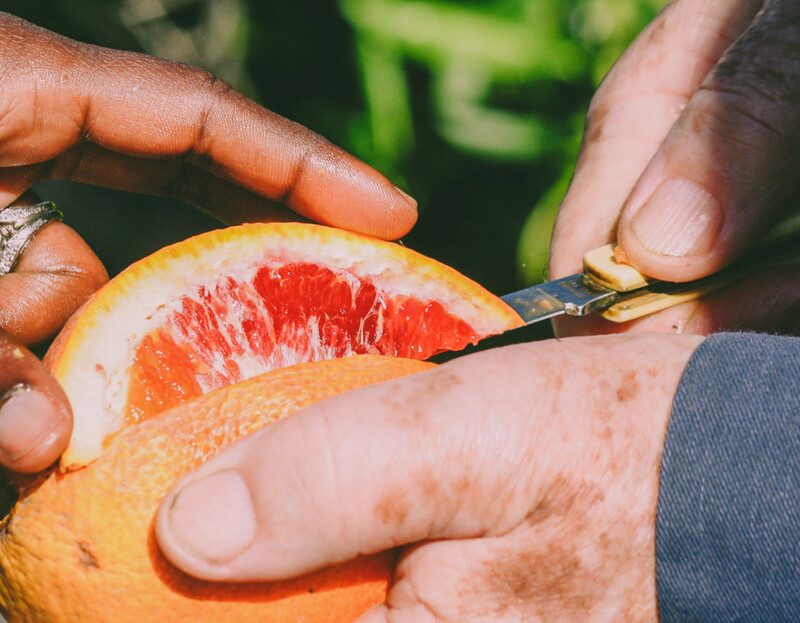 At this event we meet new and old friends to discuss our year in fruit gardening, share ripe harvests and delicious home cooking, and peer forward to our group’s year to come. Setting up some festive table centerpieces. 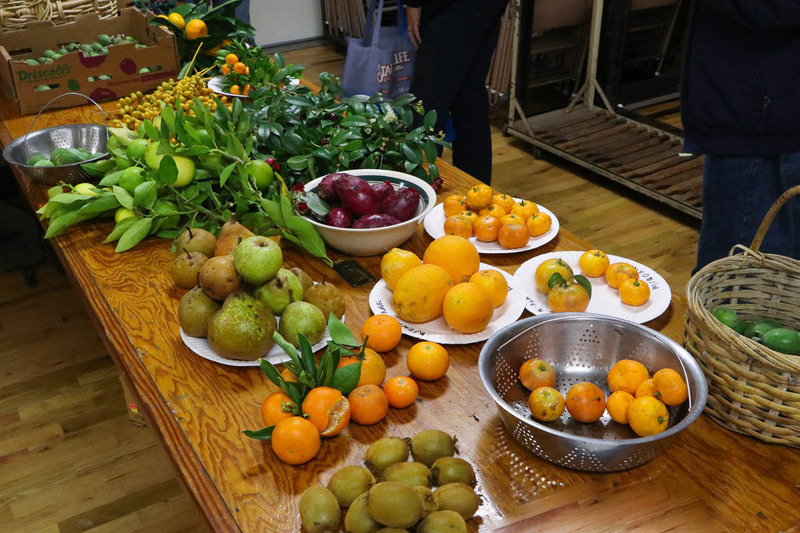 This year’s potluck drew an interesting and illuminating array of winter’s-eve fruit harvests from Santa Cruz and Monterey counties, where some microclimates have already seen their first light frosts. The images below depict a nice cross-section of what’s ripe right now, though not an exhaustive list. Please do feel free to comment below with any notable omissions of fruits you’re picking this time of year (fall-winter cusp) from your Monterey Bay garden. A display of a few of the subtropicals (and other fruits) available for ripe harvest on December 1 around Santa Cruz and the Monterey Bay area.